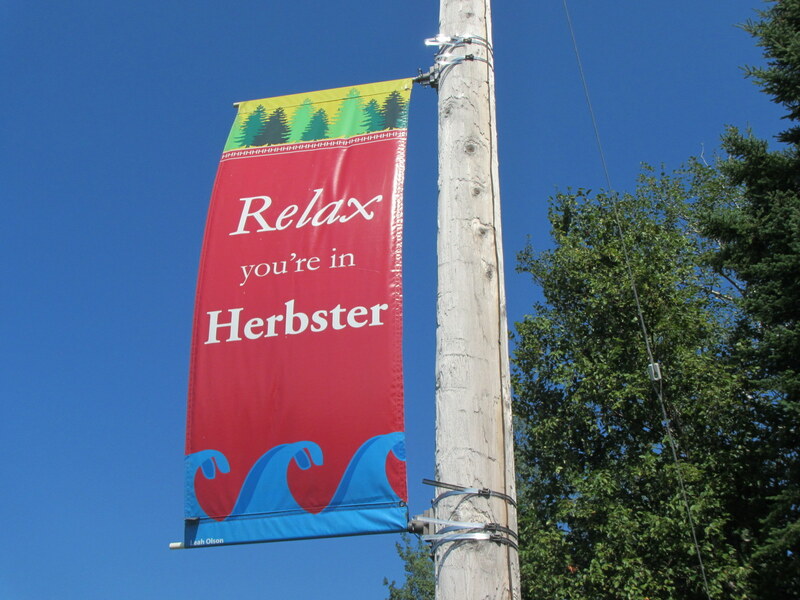 Herbster, Wisconsin, is all of a few buildings and the post office right along the highway, but with a quarter, a nickel, and two pennies you can send a postcard from there to Los Angeles, California. In Cornucopia, the post office is across from Ehler’s store and has a bench outside to sit on and eat ice cream. In Two Harbors, it’s downtown across from the newspaper building and a block from the park. In Grand Marais, it’s by the grocery store just off Highway 61. In Loman, it’s a block from the old well that runs clean water night and day for anyone passing by. In Angle Inlet, it’s across the street from the only store within a half-day’s drive. A post office is the first thing any small town needs. Before a town has one, it’s just a collection of buildings that happen to be near each other, maybe a gas station on a long stretch of highway. A post office pins a place to the map so it doesn’t drift away. It’s the reference point, the foundation, the center of gravity. If you sit in the lobby of a post office and listen, the whole town will stop by to tell you what’s going on. You’ll hear it in those little conversations between hello and goodbye as letters and packages flow over the counter, as neighbors run into each other, as post office boxes open and close. The woman behind the counter nods and tells me they’ve been on the list of potential closures for a few years now. I hand her a dollar and she hands me back three postcard stamps and four pennies. I could call any of my friends and talk to them, but there’s something about mail that I love, something about knowing the other person is going to hold that same piece of paper that I held a thousand miles away in a small post office in Northern Wisconsin. “You mean cookies from mom?” the woman said. “I see this isn’t your first day working back there,” I said. She smiled at me and I glanced at the piece of paper stuck to the wall announcing a community meeting to discuss the future of the Herbster post office. Mail still comes and goes, sorted and delivered by the next post office down the road, but when a post office closes, the town isn’t far behind. Neighbors don’t run into each other anymore, travelers don’t stop, news doesn’t flow in and out over the counter. The pin on the map falls out and all those little things that don’t fit nicely on accountant’s balance sheet drift away. And there are no more cookies from mom. Posted in Angle to Key WestTagged AKW September, Angle to Key West, herbster, post office, postcards, relax you're in herbster, small townsBookmark the permalink. Real mail is the best. Beat only, perhaps, by cookies from a mom. I love this piece, Daniel. So true, so true. Daniel, please mail yourself to Los Angeles! And then you, Jlo, and I (and of course Emma would fly in for the fun) would go to a Dodgers game together and stretch it out real good during the the 7th inning and sing I Love LA after we win. Sadly, I don’t fit in a flat rate box.